Significance of Rights of Allah and Man in Islam ~ Islam My Ultimate Decision . Man has been created by Allah and blessed with countless blessings and bounties to live a comfortable life so that man is obliged to his Creator and thank Him for everything that He has bestowed upon him to live a happy and contended life. He alone is our is the creator, nurture, sustainer, provider, protector and at no time we should be turning away from Him in thanking for his bounties and repenting for our sins and for digressing from the commandments of Allah. However, at the same time we have obligations towards other men around us as we live in a society, heavily dependent on each other to live a happy life. We thus have rights over them and to them. While we always vie to claim for our rights, how often we are actually willing to care for the rights of others that they expect of us in return? This is something that we must be very careful about for if we hurt someone or usurp someone's rights, even if we realize later and repent to Allah, we shall not be forgiven unless that person who has been victim of our wrongdoing has forgiven us. 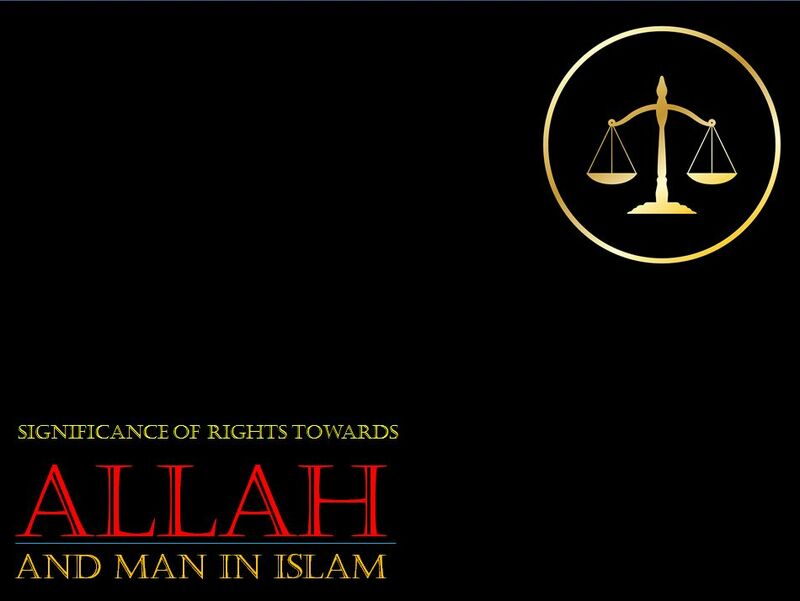 Thus we must understand the criticality of our rights towards Allah and man. As for Allah, He is oft forgiving and in fact expects man to repent and beg forgiveness so that He who is Ar Rahman (The Most Gracious) and Ar Raheem (The Most Merciful) should forgive us. If someone commits a sin, regarding the rights of Allah, it may be undone with the help of repentance whenever someone realizes one's mistake.